The information about the upcoming MMORPG with the elements of science fiction, which is being developed by Carbine Studios, has appeared online. 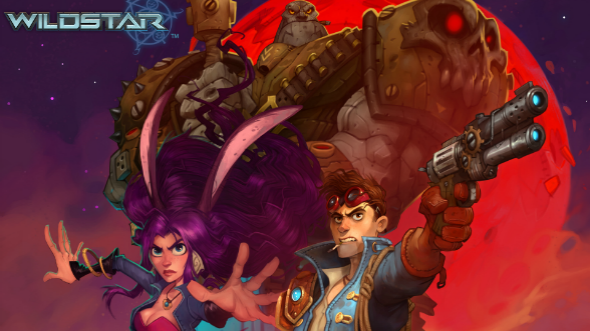 Recently the developers have announced the WildStar release date, which is scheduled for June 3, 2014. According to the game’s plot, the users will find themselves on the planet, titled Nexus, in the middle of the conflict between two factions - the Dominion, the members of which struggle for the progress, and the Exile, who tries to prevent them, using different methods. So, the players will have to choose and join the faction, they like the most. Besides the WildStar release date, the developers have also shared the news about the Standard Edition and the Digital Deluxe Edition of the MMORPG. The WildStar Standard Edition will cost $60 and will include three guest passes to invite friends, 30 days of game time and the elements of decoration for the Eldan’s house. The price of the Digital Deluxe Edition will be $75. The users will get the whole content of the WildStar Standard Edition, the Hoverboard mount, the title, the costume and green and gold dyes. Those players, who will buy the WildStar Standard Edition first, will have a chance to upgrade it to the Digital Deluxe Edition in the official game’s online shop. Moreover, if the users pre-order WildStar from March 19th, they would get the great bonuses, like the beta access for the upcoming MMORPG, an opportunity to register the character and the guild’s name online, the exclusive Rocket house, some unique trophies and titles. So, are you excited about the WildStar release date? Will you pre-order the game and buy one of the editions?